Bitdefender Total Security 2012 offers ultimate silent security for the net-centric lifestyle, fighting every category of e-threats with best-of-breed technologies. Automatically backs up files and folders to a secure remote server and allows file sync between your computers. 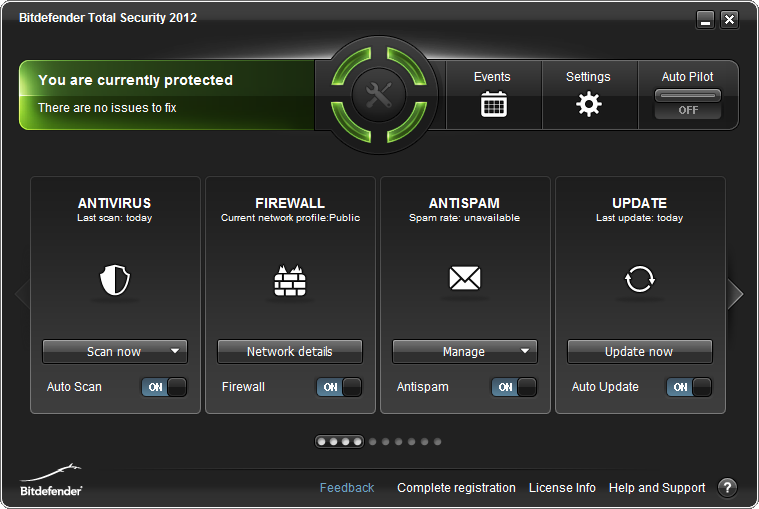 Bitdefender Total Security comes with 2 GB of free, secure online space to backup your critical files. Protect yourself, and your friends, from e-threats that attempt to exploit the trust you've built with them. Bitdefender 2012 takes "scheduled scanning" to a whole new level, as the scanning only takes place when your system is idle. Qweas is providing links to BitDefender Total Security 2012 15.0.034 as a courtesy, and makes no representations regarding BitDefender Total Security 2012 or any other applications or any information related thereto. Any questions, complaints or claims regarding this application BitDefender Total Security 2012 15.0.034 must be directed to the appropriate software vendor. You may click the publisher link of BitDefender Total Security 2012 on the top of this page to get more details about the vendor.